Support Code Pink and the Bureau of Investigative Journalism in their work to end the violence caused by armed drones. The guide contains tactics for hiding from drones and interfering with the drones’ sensors, collected from various online sources. Health Ranger’s intelligence analysis of military drones: payloads, countermeasures and more’, by Mike Adams and ‘The Al-Qaida Papers - Drones’, Associated Press, Feb 2013. To keep this document widely available it can be downloaded in .pdf or .doc format. 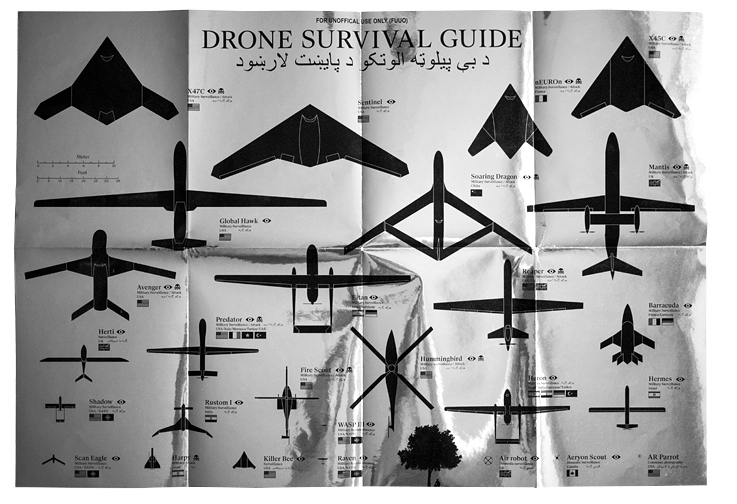 Send a new translation to us and receive a free printed Drone Survival Guide. All translations will be shared here. The Drone Survival Guide is collected and translated as a form of civil initiative, not for profit and without government or commercial funding and/or support. One of the techniques for misleading a drone's camera is putting reflective material on the rooftops of houses or cars (glass, mirror) to try to reflect sunlight into the drone's camera, making this poster a useful tool to interfere with the drone's sensors. 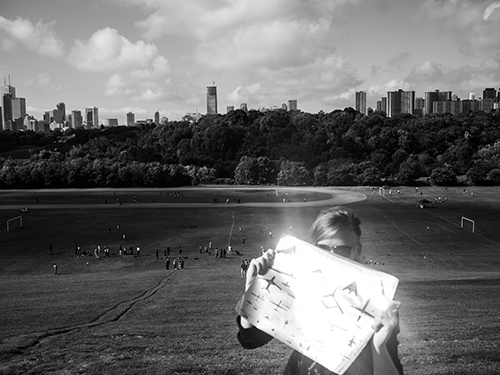 On a more associative level the mirrored material reminds us that drone surveillance is ultimately people watching people. In a way we are looking at ourselves through sophisticated mirrors. loss of revenue, loss of profit, loss of opportunity or other loss. The information contained on this website may be changed or updated at any time without notice. If you see mistakes in any of the translation and wish to correct those, send me a message with a new text document with the changes highlighted.